The reward of delayed gratification! If there were ever a verse that did NOT match the whims of our "modern" society, this would have to be it! 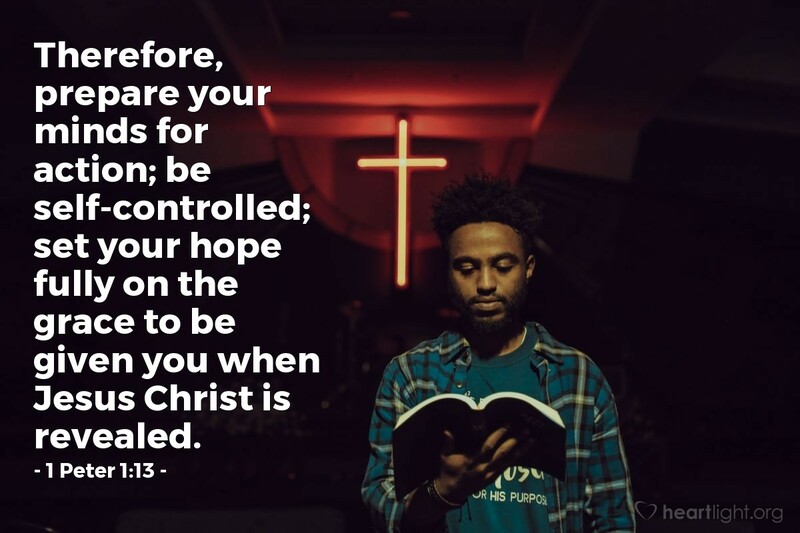 Prepare... be self-controlled... focus your hopes on the future... none of those is an advertising slogan, but they all are the sustaining truths of the great souls who have gone before us! Eternal God, please help me have the patience and faithfulness to let you fully form in me the character and the wisdom that my world so much lacks and I so much need. In Jesus' name I pray. Amen.